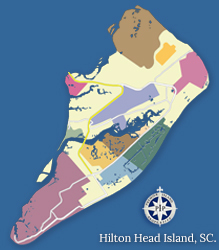 Situated on a high peninsula pointing south and splitting the Intercoastal Waterway and Broad Creek lies Spanish Wells - one of Hilton Head's most exclusive and beautiful communities. 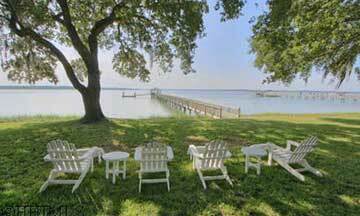 Spanish Wells Plantation offers its 200 homeowners and residents a breathtakingly beautiful setting for living a special life with family and friends on the water. A contained and private plantation with no through traffic, the community provides a perfect location for easy access to the mainland, to the center of the island with its churches, schools, hospital and services and to the south end of the island with its shopping, dining and beaches. The community is remote, yet not removed. It is secluded, yet not out of easy reach. And those who live there would not have it any other way. Once the site of artesian wells, where Spanish explorers stopped to fill their kegs before traveling on, the high land still contains many enormous live oak trees and indigenous vegetation from those earlier times. 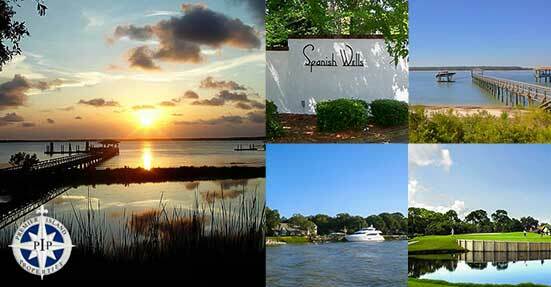 There are many beautiful communities on Hilton Head Island, but there is only one Spanish Wells. With its private location on the island, spectacular waterfront views, a long list of amenities, and a great selection of schools nearby, Spanish Wells Plantation is a great place to call home on Hilton Head. Spanish Wells is considered one of the most unique private residential communities on Hilton Head Island. While smaller than other communities, its homes are spaced out among magnificent oak trees that are centuries old. 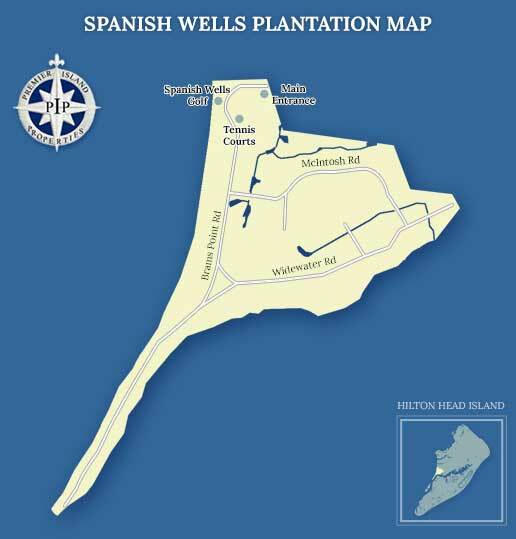 Spanish Wells remains one of the last non-gated communities found on Hilton Head Island. 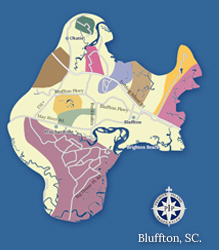 Despite this, Spanish Wells Plantation enjoys lower crime rates than many of the other gated plantations on Hilton Head. There is a strong sense of family as the small clubhouse, which hosts a private 9 hole golf course, tennis facility, and pool, is more of a meeting place for friends. 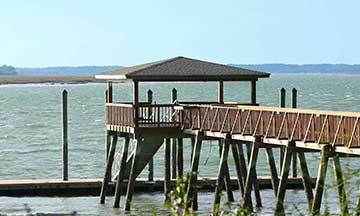 Bordered on all sides by water, Spanish Wells feels like a retreat unto its own with stunning views of Calibogue Sound. 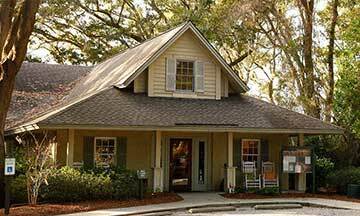 If you are looking for homes for sale in Hilton Head, SC, Spanish Plantation is one of the premier communities on the island. 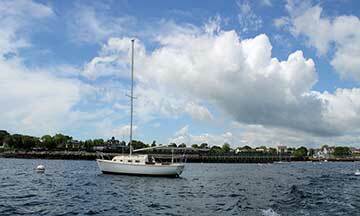 There are 192 homes in all, mainly single family, and each sits on an acre of scenic land. You can expect a mix of move-up homes and lavish estates which are surrounded by spacious treed lots. Homebuyers can choose between homes with golf course views or homes next to Broad Creek and the Intercoastal waters of Calibogue Sound. 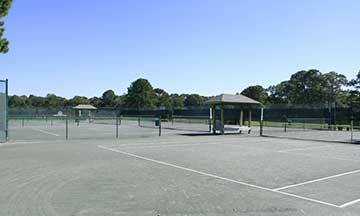 Contact us for more information on Spanish Wells Plantation and come live the fabulous Hilton Head lifestyle. 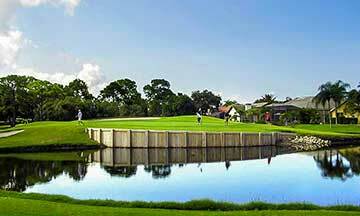 Spanish Wells Plantation is home to a nine hole, par 36 golf course. Come enjoy some of the finest golf that Hilton Head Island has to offer! Below you will find some useful links and phone numbers for more information on Spanish Wells Plantation.